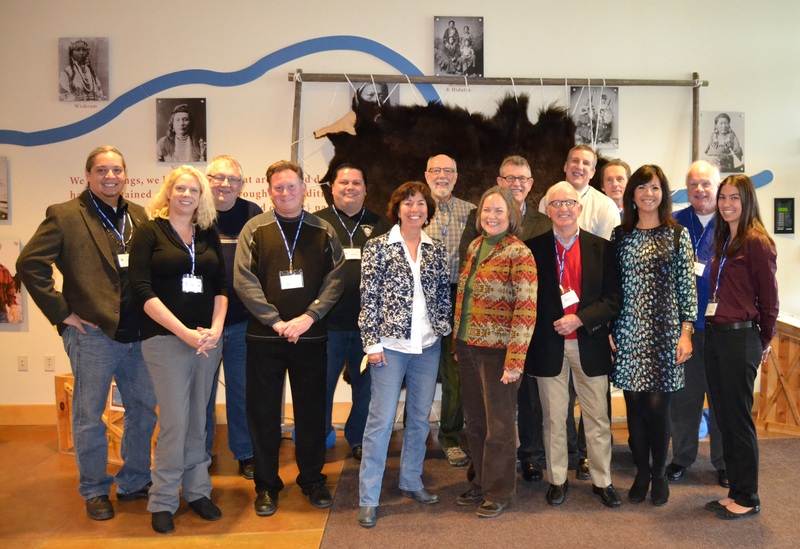 On Friday, December 19th, the Standing Bear Trail Committee met at the Omaha Lewis and Clark National Historic Trail Visitor Center to discuss 2014’s successes and the upcoming 2015 year. Pictured in the photo are Trail meeting attendees. From left to right: Boots Kennedye, Angela White, Dr. John Wunder, Michael Collins, Larry Wright Jr., Christine Lesiak, Will Locke, Shirley Sneve, Randy Peters, Ross Greathouse, Scott Shafer, Joe Starita, Judi gaiashkibos, John Strope, Naomi Szpot.